Thanks to some recently leaked patent images, we now have much more clarity about the engine type and layout of the India-spec Suzuki Gixxer 250. However, an official word on it's India launch is still awaited . . .
Suzuki has been enjoying its fair share of success in the 150cc motorcycle segment ever since it launched the Gixxer 150 here. While the model has been renamed for the Indian market, the international markets get these bikes as part of the 'GSX' model family. 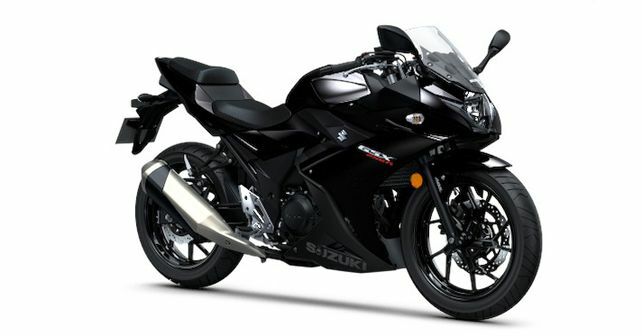 Now, word has it that Suzuki is planning to bring the GSX250R to India under the Gixxer 250 moniker. It seems only logical, keeping in mind that Suzuki does not offer a model in India in the 200cc – 400cc segment. This news has been doing rounds for quite some time now, and we've been eagerly waiting for Suzuki India to announce the official launch date of the Gixxer 250. But for now, we will have to make do with the recently emerged powertrain details of the India-spec model. As it turns out, the model coming to India will carry some significant changes compared to its international sibling. The first major difference is that the motor of the Gixxer 250 will be a single-cylinder unit, with a four-valve SOHC layout. Secondly, to save costs, the engine will house a vertically-stacked oil-cooling system. Third, the Gixxer 250 is also likely to feature a fuel-injection system for improved fuel efficiency. To put things into perspective, the internationally-sold GSX250R comes with a liquid cooled, two-cylinder motor. However, the addition of fuel injection to the Gixxer 250 does not come as a surprise, since the Intruder 150 and Gixxer 150 too come with the same fuel system. What still remains unknown about the motor is its power output and transmission pairing. We expect it to produce somewhere between 22 and 25bhp, and it should come mated to a six-speed gearbox. However, it's yet to be confirmed. Whenever Suzuki plan on launching the Gixxer 250 (2019 or early 2020), expect it to carry a price tag of around ₹ 1.3 lakh (ex-showroom). When launched, it will compete against bikes like the Yamaha FZ25.